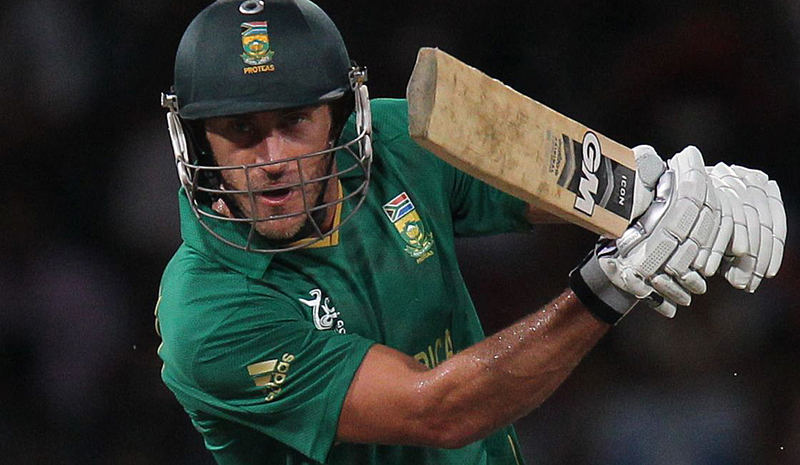 Cricket South Africa launched the Africa T20 Cup on Tuesday. The competition is essentially an expansion of their already existing semi-pro T20 competition, with an added focus on development both from young players and a transformation perspective. By ANTOINETTE MULLER. As far as getting things right while getting the execution spectacularly wrong goes, Cricket South Africa triumphed on Tuesday when they launched the Africa T20 Cup. The right part is the competition itself; the wrong part is the fact that the word “Africa” was misspelt as “Arfica” on all the branding at the launch. Those of a more optimistic persuasion might but it down to “guerrilla marketing” but that scenario is as unlikely as ever really knowing what exactly was “impressed upon” the coaching staff during that now-fateful semi-final selection deliberation. If you can look past all of that, though, the announcement of the Africa T20 Cup has some great potential. Zimbabwe, Kenya and Namibia will play against 13 South African “feeder” teams consisting of Easterns, Northerns, Western Province, North West, KZN Inland, Border, Boland, Griquas, KZN, Eastern Province, Free State, South West Districts and Gauteng. The tournament will follow a “World Cup-style” format, with teams divided into four pools of four teams each, with the winners of each pools progressing to the semi-finals and the final. Willowmoore Park, Senwes Park, the Diamond Oval and Mangaung Oval will host the tournament, which will run from 4 September to 4 October, significant dates when one reads between the lines. The Champions League T20 is reportedly hanging by a thread and is likely to be canned. While it is understood that teams are likely to be compensated handsomely, there is still a gap in the pre-season schedule. Considering September and October are the most likely dates for the CLT20, it doesn’t take a genius to deduce that the writing is on the wall for the Indian jamboree. The Africa Cup might not offer the same kind of high-quality action that a tournament like the CLT20 does, but it has incredible potential. It is also by no means a replacement for the Champions League T20, but the time of scheduling indicates that there is no risk of losing some of the big-name franchise players to an event that will draw far more eyeballs. It is, in its essence, a fantastic initiative. Non-Test playing nations suckle on the hind teat of scheduling, thanks to the stranglehold of cricket’s elite. While countries like South Africa might not have the gap in their schedule to play against associates and affiliates, hosting nations from other, smaller countries in more nuanced competitions is a step in the right direction for expanding the footprint of the game. SuperSport will broadcast ten of the games live on TV for added exposure. The competition is, seemingly, an extension of South Africa’s already existing semi-professional T20 competition. Namibia already takes part in CSA’s provincial T20 tournament, but adding two international teams will add some extra impetus to the competition. A number of caveats, however, will ensure maximum development potential for all involved. For the CSA associates and affiliate members and in order to ensure the tournament remains competitive, this is crucial. All Franchise players will play for the province at which they are contracted, although a limit of four has been placed on the number to be fielded at the same time. This limit would not include the contracted Protea players who are restricted to one in the starting XI. In addition, all teams will be required to field at least two under-21 players. Like with domestic cricket, the South African teams taking part will be required to meet certain transformation standards (six players of colour and three black Africans). Be under no illusions: this is not going to be a glitzy tournament. It is essentially a showcase in cricket development. But if the game is to grow, both locally and across the continent, then initiatives like these are the first step towards aiding growth. There was no mention of prize money or a tournament sponsor yet, but if there is one thing that CSA has managed to get right in the last few years, it’s been securing funding from corporate and commercial sponsors.